This sophisticated custom-built residence is located in the desirable West Davis Evergreen subdivision. Property is just steps away from Arroyo Park and Pool Complex. 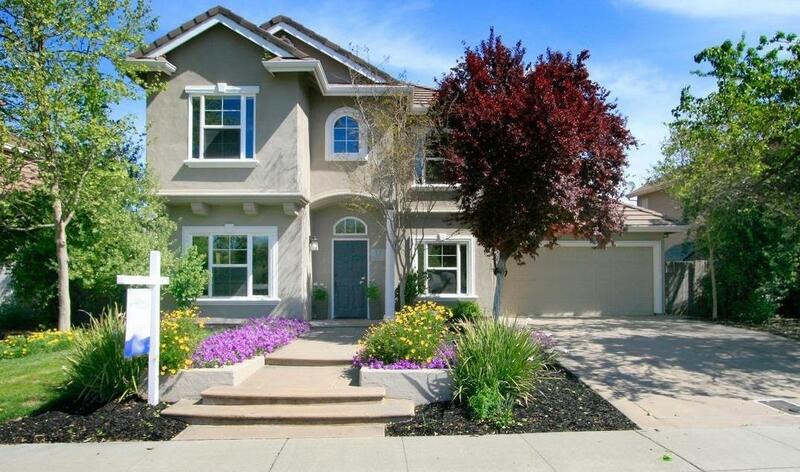 Upon entry, you are welcomed with a generous foyer, elegant staircase and soaring ceilings. First floor features an office with interior french door, light filled kitchen and open family room punctuated by a fireplace/mantel. Living spaces overlook the incredible backyard which is big enough for a pool, garden or whatever your heart desires! Upstairs features a spacious master bedroom, remote ensuite junior master, two additional bedrooms and jack/jill bathroom. Hampton is near UC Davis campus, restaurants, grocery stores, Sutter/UC Davis medical facilities, Mondavi Art Center and Shrem Art Museum and the top rated Willett Elementary. Whether you travel for business or pleasure, you can relax knowing you are approximately 20 minutes drive to the Sacramento International Airport. Welcome home!